Even in the early days of LASIK, the procedure had an excellent safety profile and record of success. However, in recent years, technology has made all forms of laser eye surgery even safer and more effective. This is particularly true of LASIK, which is now available to a far greater number of patients due to the advent of the IntraLase® system, which makes it possible for Southwest Eye Care and Laser Medical Associates to offer a completely blade-free, all-laser variation of the surgery. At our eye care clinic in Bakersfield, LASIK candidates are carefully screened to ensure that the procedure is right for them. However, we are finding that more and more people are suitable candidates for the procedure and therefore able to enjoy the many benefits it has to offer. In order to determine your candidacy for LASIK, we will first perform a comprehensive evaluation of your ocular health, including a thorough exam of your eyes. We will discuss your medical history, family history of eye and autoimmune disease, and other relevant issues. Using all of this information, we will determine whether you are a suitable candidate for LASIK surgery, and whether LASIK surgery is the best solution in your particular case. If you are not a good candidate for LASIK, we will discuss alternative procedures that are likely to yield similarly excellent results. At Southwest Eye Care and Laser Medical Associates, we offer a range of treatments designed to restore clarity and crispness to vision, reducing or eliminating our patients’ reliance on glasses or contact lenses. 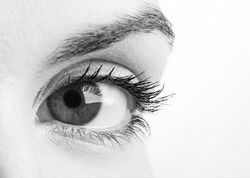 Among the treatments we offer as alternatives to LASIK are PRK and implantable contact lenses. In order to be a good candidate for LASIK, you must have reasonable expectations of the procedure and be fully aware of its risks. You must also have the desire to gain visual independence, with the ideal goal being no longer having to wear glasses or contact lenses. If you choose to undergo LASIK, you will be provided with instructions that you must follow exactly, both before and after surgery. The success of your procedure will ultimately depend on how well you follow these instructions. To find out whether you are a suitable candidate for LASIK, please schedule an appointment at Southwest Eye Care and Laser Medical Associates today.